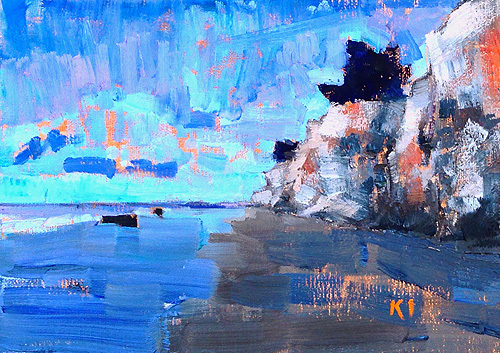 This entry was posted in Landscape Paintings, Seascape Paintings and tagged 5 x 7 inches, beach, beach painting, california, cliff, landscape, leadbetter, ledbetter beach, oil on linen on panel, santa barbara, seascape on January 24, 2014 by Kevin. 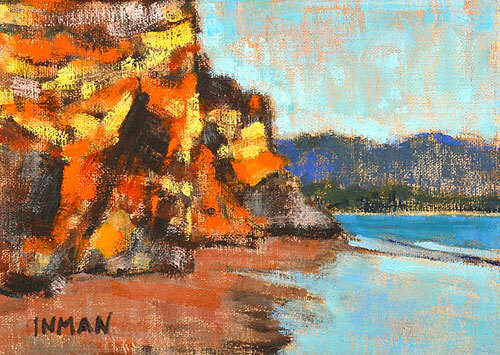 From a painting trip last summer to beautiful Santa Barbara. 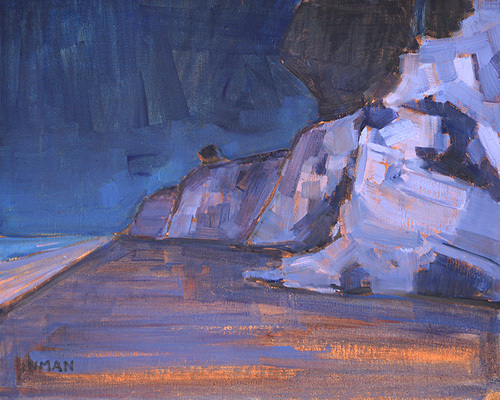 This entry was posted in Landscape Paintings, Seascape Paintings and tagged 5 x 7 inches, beach painting, california, dawn, leadbetter, ledbetter beach, oil on linen on panel, san diego, santa barbara, sunrise on August 19, 2013 by Kevin.